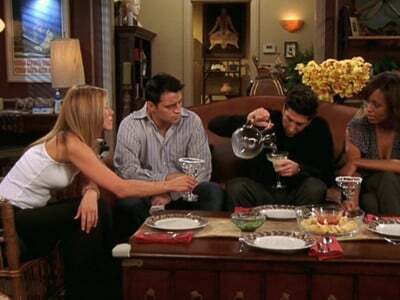 Ross puts on a convincing front and invites Joey and Rachel to dine on fajitas with him and Charlie. He quickly gets drunk and embarrasses everyone. After Rachel and Charlie leave, Joey spends the night and the two talk in the morning. Ross tells Joey he’ll work on getting used to him and Rachel. Meanwhile, Frank Jr. visits with his kids and tries to talk Phoebe into taking one of the triplets. Also, Chandler and Monica visit some friends of Phoebe’s to learn about adoption. 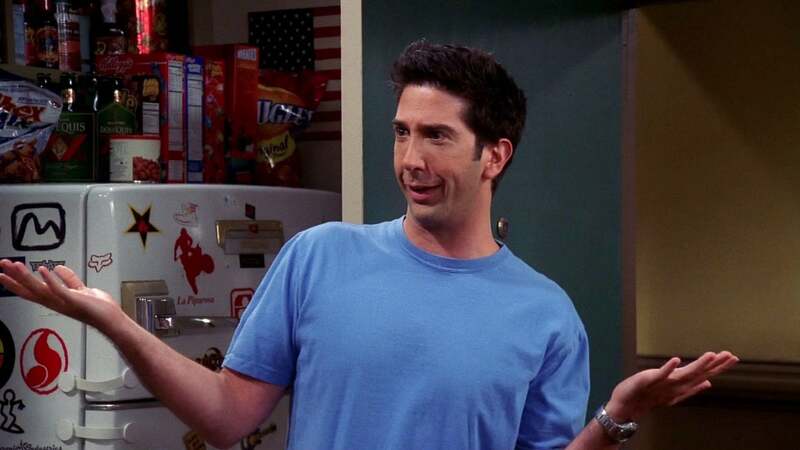 However, Chandler accidentally tells their son something he didn’t know – that he’s adopted.